Saints running back Reggie Bush was allowed to gauge other team’s interest in him prior to the lockout, Jason Cole of Yahoo! Sports reports. According to Cole, the teams most likely interested in Bush are the Dolphins, Steelers, Giants, and the Seahawks, where former USC head coach Pete Carroll is entering his second season. It’s worth noting that with Bush’s former backfield partner LenDale White, Carroll showed that USC scholarships were not valid at the VMAC, and that the Seahawks are well-stocked at the running back position, with Justin Forsett, Marshawn Lynch, and Leon Washington, who returned kicks at a Pro Bowl level in 2010 and signed a four-year, $12.5 million extension before the lockout. In 60 career games, Bush has rushed for just 2,090 yards and 17 touchdowns, and has just 106 carries in 22 games over the last two seasons. Saints head coach Sean Payton uses the versatile Bush in a variety of ways, and the 2005 Heisman Trophy winner has caught 294 passes for 2,142 yards and 12 touchdowns, though his production has declined over the past four seasons as injuries have kept him from playing a full season. Bush also has averaged 7.8 yards on 92 punt returns, with four returns for touchdowns. The 26-year-old Bush is due $11.8 million in base salary in 2011, the final season of the six-year, $62.05 million contract he signed as the second overall pick of the 2006 NFL Draft. In order for Bush to return to the Saints, he’ll have to considerably reduce his salary. 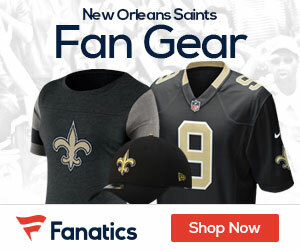 New Orleans signed running back Pierre Thomas to a four-year extension in February, and traded back into the first-round of the 2011 NFL Draft to select Alabama running back Mark Ingram, who like Bush, is represented by Joel Segal of Lagardere Unlimited Football. Bush tweeted “It’s been fun New Orleans” after the Ingram selection, and was a no-show at the Drew Brees-organized workouts, dubbed “Organized Brees Activities”, that were held over the last six weeks at Tulane University and concluded on Thursday.